Starbucks Coffee Company has announced that it will begin accepting Square’s mobile payment method— the Square Wallet— in all participating U.S. locations. According to a release from the coffee giant, the acceptance of Square wallet payments will help facilitate an easy payment experience for customers. 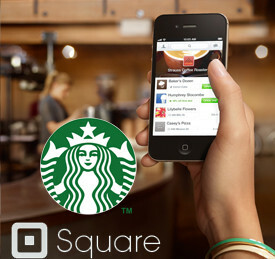 The partnership will see some 7,000 Starbucks stores accepting mobile payments using the Square Wallet app. The Square Wallet app will enable customers to not only pay for their coffee at Starbucks locations, but also explore nearby businesses, browse menu information and view store hours and transaction history— all from their phone. Using the Starbucks Digital Network, stores will feature the Square directory enabling customers to discover neighborhood businesses near their chosen Starbucks store. The Square Wallet, as with Starbucks’ own mobile app are compatible with both Android and iOS and are fully integrated with the Starbucks Card and My Starbucks Reward programs. 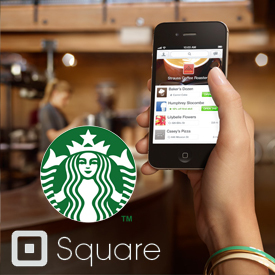 To get started with the Starbucks and Square Wallet initiative simply download Square Wallet to an iOS or Android device and set up an account. Square Wallet is linked to the user’s debit or credit card, so reloading a balance is not necessary. To make a purchase, customers just tap “pay here” and scan their QR code— not unlike the customer experience on the existing Starbucks mobile payment application— and their digital receipt appears instantly. More information about the Starbucks/Square Wallet initiative can be found on the company’s website.